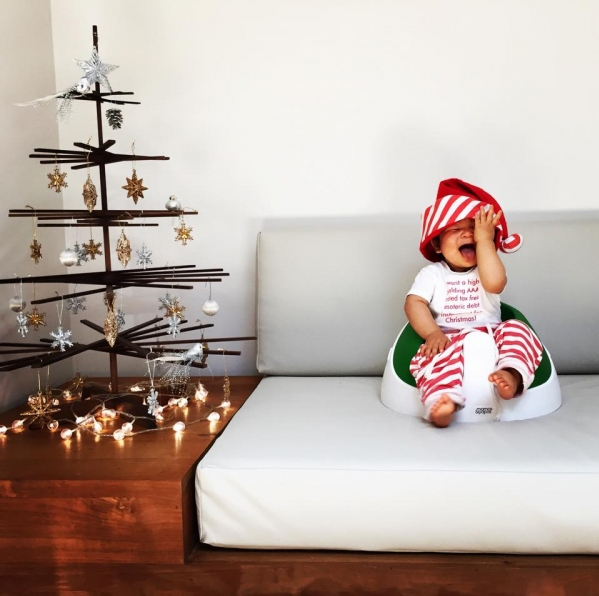 Looking for an inexpensive alternative to a real Christmas tree? 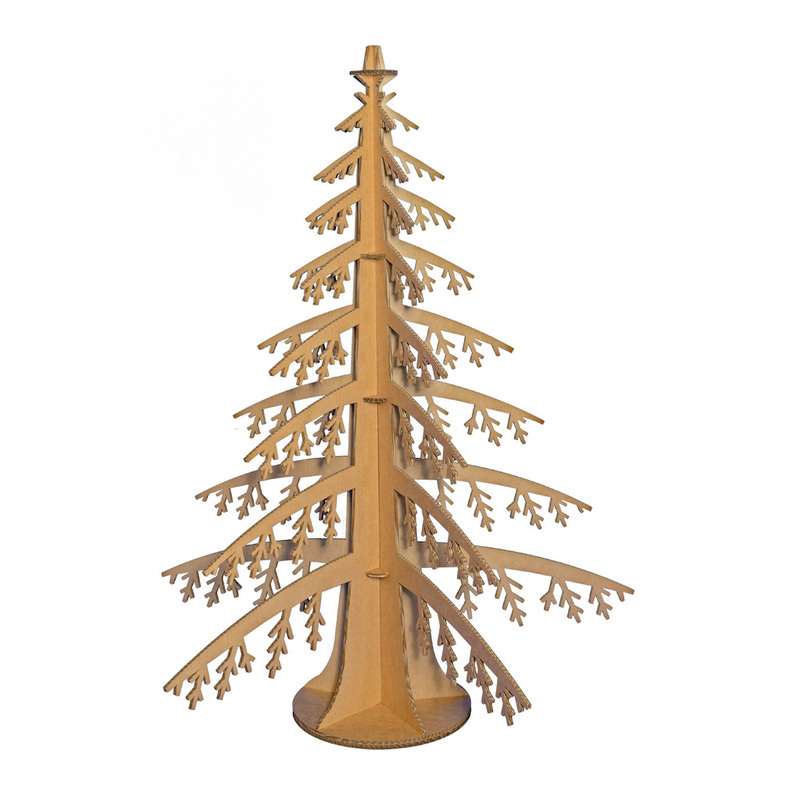 PossibiliTree makes three fantastic wooden trees, the pretty epic, award-winning Suspended Tree hangs 15 to 18 inches above the ground. It’s six feet tall, features ten rows of branches and hovers beautifully over Santa’s loot. It arrives rolled up. You simply unroll it, straighten it out, and are ready to go – pretty awesome for such a large item. 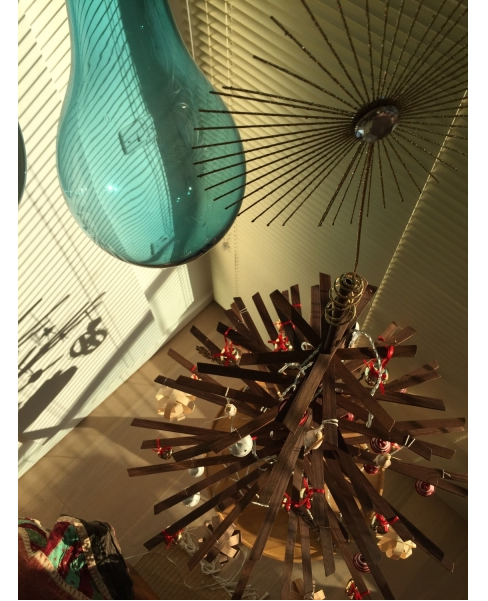 They also make three Tabletop Trees, including the Wabi Sabi, the latter featuring small imperfections according to the eponymous Japanese philosophy. 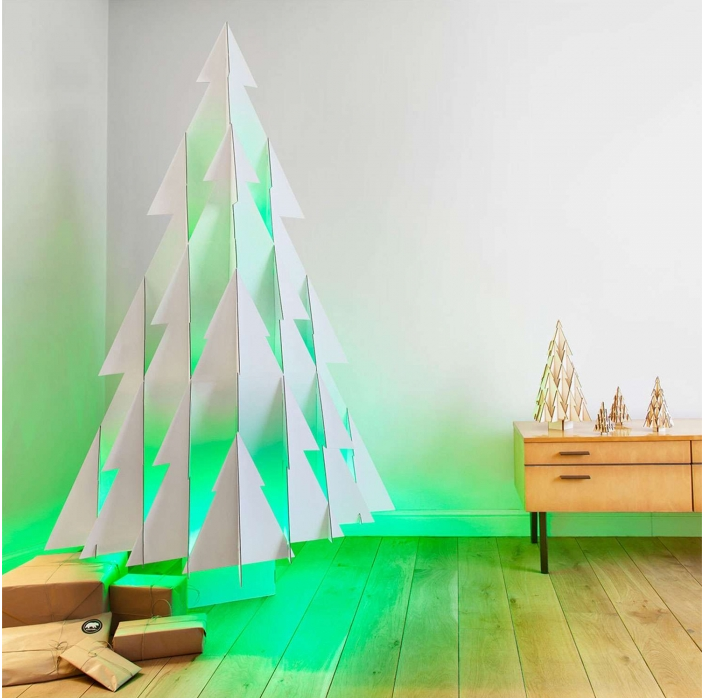 OdenneBoom from Belgium specializes in what they call the “Design Tree.” We are partial to their life-size version made from double-layered corrugated cardboard. Besides, it comes with 300 LED lights and a remote control! We also like their sustainable beech wood tree, which is made to order but has a tall price tag of €1,950. But it’s a true designer dream tree. 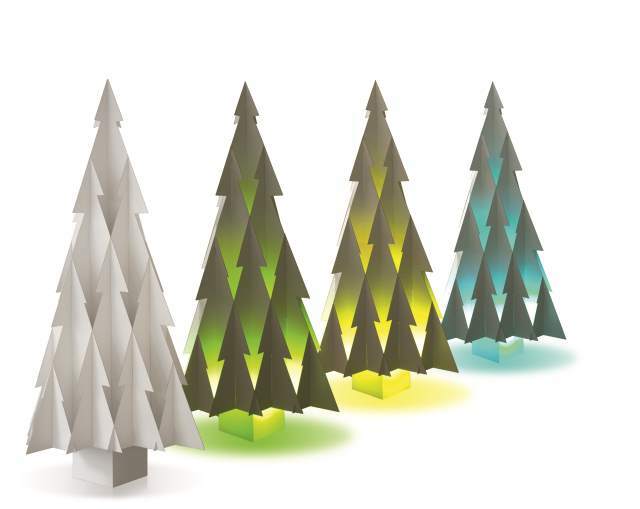 Cardboard Safari, whose materials are all 100-percent recyclable and locally sourced, have a pretty cool and inexpensive Cardboard Alpine Tree. 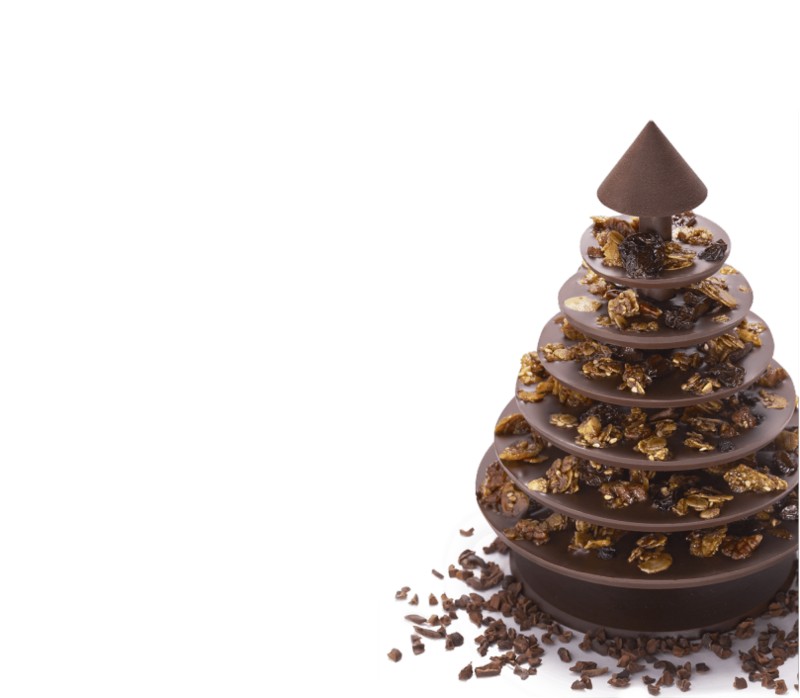 Last but not least, famous French chef Alain Ducasse has dreamed up a decadent Chocolate Tree. It’s just under eight inches tall (20 cm) and delicious.